Edge Towers, Mississauga's newest luxury condominium is strategically located in the heart of the vibrant downtown corridor, just steps to the future Hurontario LRT. 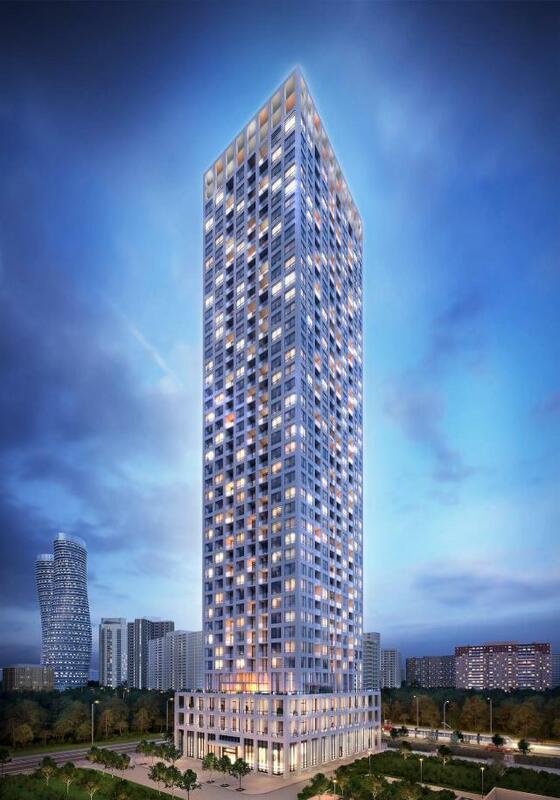 Designed by award winning Architect Roy Varacallli, Edge Towers will be visible from downtown Toronto, redefining the Mississauga skyline with a timeless, elegant style. Solmar home and condominium owners have enjoyed superior finishes and workmanship, and a higher level of customer service, for 29 years. The elegantly appointed suite and amenity finishes are destined to define Edge Towers as the new standard of luxury in prime downtown Mississauga. Sales: Davie Real Estate Inc.